A citizen science microplastic monitoring method was developed to engage the public and quantify microplastic contamination at various sites along an approximately 550 km length of the Ottawa River from Lake Temiskaming to Hawkesbury, Ontario, Canada. The volunteers filtered 100 L of river water through a 100-μm mesh at their desired location along the Ottawa River. All but one of the river samples (n = 43) contained microplastics, with the vast majority of microplastics identified as microfibers. Microplastic concentrations ranged from 0.02 to 0.41 microplastic pieces per litre. We noted numerous advantages in working with citizen scientists including actively engaging citizens in the research, ease of recruiting volunteers within the established Ottawa Riverkeeper network, and expanded spatial coverage at minimal additional costs. Despite these important advantages, there are some important considerations with citizen scientist sampling including the rare events where volunteers mislabelled sample sheets (e.g. labelling as control instead of river sample) and the relatively low volume of water (100 L) that the volunteers could easily sample using our methodology. Recommendations for future citizen science projects for freshwater microplastic research include utilising an established and engaged network, running both field and lab control samples (blanks) to obtain estimates of contamination with microplastic fibres, and increasing the amount of water filtered to obtain more reliable estimates of microplastic pollution in our freshwater ecosystems. Canadian Consulting Engineer (C.C.E.). 2016. Gatineau has 1,300 combined sewer-stormwater overflows in a year [online]. Available at < https://www.canadianconsultingengineer.com/water-wastewater/gatineau-1300-combined-sewer-stormwater-overflows-year/1003403223/> [Accessed 11th April, 2018]. Google Maps. (2018). Ottawa River Valley. Available at https://www.google.com/maps/d/edit?mid=1keY6HFXuoc8qAhUtYCVnEmjw67jFoYMO&ll=46.33389666017136%2C-77.10651934999999&z=7. Accessed 14 Jul 2018. Lebreton, L. C. M., van der Zwet, J., Damsteeg, J. W., Slat, B., Andrady, A., & Reisser, J. (2017). River plastic emissions to the world’s oceans. Nature Communications. https://doi.org/10.1038/ncomms15611. Ottawa Riverkeeper. (2018). Watershed Facts [online]. Available at https://www.ottawariverkeeper.ca/watershed-fact [Accessed 14th July 2018]. Plastics—the Facts. 2016. An analysis of European plastics production, demand and waste data [online]. PlasticsEurope, 35 p. Available at https://www.plasticseurope.org/application/files/4315/1310/4805/plastic-the-fact-2016.pdf. Accessed 12 Feb 2019. Rech, S., Macaya-Caquilpán, V., Pantoja, J. F., Rivadeneira, M. M., Kroeger Campodónico, C., & Thiel, M. (2015). Sampling of riverine litter with citizen scientists — findings and recommendations. 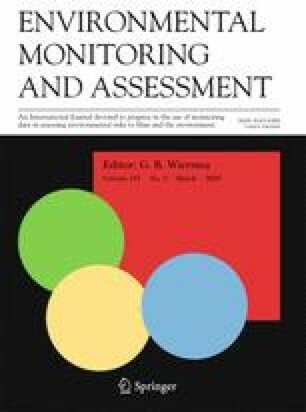 Environmental Monitoring and Assessment, 187. https://doi.org/10.1007/s10661-015-4473-y.